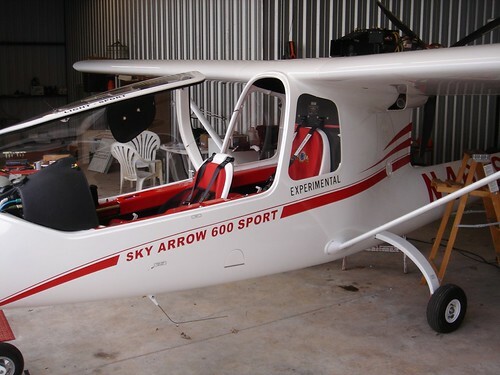 For those of you who might not be familiar, a few years ago the FAA defined a new class of aircraft - the Special Light Sport Aircraft (S-LSA). The idea was to make it easier and cheaper to build and sell aircraft, and to hopefully expand the pilot population by making a simpler pilot type - the Light Sport pilot. Plus, no medical would be required. 1) The manufacturer decides what level of training is required to perform each operation. In an abundance of caution, the AMM for my plane requires an LSA Maintenance Certificate or better to do nearly everything allowed under Part 43 for certified airplanes. Even changing the battery, changing a tire or changing the oil were not allowed without certification. 2) There is zero latitude in replacement parts - any deviation from the parts supplied on the plane require permission from the factory. Again, you can’t even substitute an equivalent tire or battery - a real pain, especially since FIAMM batteries are hard to come by in this country. My annual was due this month. For the last two years Karen and I got the plane to Sebring, where Lockwood is a well-respected maintenance shop. This year, I decided to bite the bullet and “downgrade” my plane to an E-LSA (EXPERIMENTAL - Light Sport Aircraft). I spent last week preparing the plane, and last Thursday a DAR drove up and assisted me in the final inspection required to convert the plane to Experimental. It also served as the “annual” inspection, so I’m good until Dec, 2010. The upsides are that I can now work on my plane in any way I want. I can modify it any way I want. It's as if I had built it, but the 51% rule does not apply since it was factory built. I’m scheduled to take a 16-hour “Light Sport Inspection” course, and after successfully completing that I’ll be able to do the annuals myself as well. Downsides? The plane cannot be used for flight instruction or rental, but I had no intention of doing so anyway. The plane my have lost a little value, since a potential buyer would have fewer options - once Experimental, there’s no going back to “Special”. Then again, with a lower hull value, I may save a little in premiums going forward. But now the company is struggling, and in some Italian version of bankruptcy. They still support the Sky Arrow, but if they ever did go belly-up, Experimental would be the only way to stay in the air. Anyway, new Odyssey battery goes in tomorrow and if all goes well I’ll be doing the post-maintenance test flight tomorrow. ...yesterday's test flight went perfectly. Did about 1.1 hours and followed the Sky Arrow Test Flight checklist. It did take a good amount of weight to bring them into balance. The air was really smooth and everything about the plane felt smoother - though psychology may play a large part in that. Apparently people were stripping the TORX threads. Mine was tight but came out with a bit of persuasion. Anyway, the weather is pretty rotten today in the GA mountains. When it clears, I'd love to touch base with others on this site - my home base is 57GA near Blue Ridge, GA.
First let me state I'm not trying to give you a hard time, but only hope you really looked into a few of these items. Some aren't right. I only tell you these things in hopes that nothing happens to you without your knowledge. I'm just trying to help. I'm very much up on the rules. The Mfg can state who can do the work. If they really stated RLSM Cert or better they really screwed up. I went around with Flight Design on this too. I helped Remos correct their mistake. I have talked at length with the FAA. The MFG must actually state who can do the work. If they say a "RLSM or better" or RLSM or "higher grade certificate", there is no such thing in the mechanics world. The pilot side has higher grade certificates, but the mechanics side does not and each level of mechanic must be stated in the manit. approval from the Mfg. The FAA said if they found anyone that was out of compliance because of this they would cite the owner and really site the mechanic because he has schooling and is supposed to know better. So both Flight Design and Remos changed their wording to include RLSM, A&P, I/A. You can change most of the little things and even some bigger items fairly easily by just sending the Mfg a "letter of Approval" which most are happy to sign unless you are in left field. Ye3s some are more restrictive than others, but that option is still available. Down grading to ELSA from SLSA. Until the new rules come out you are not allowed to do your maint. The old rule said in a nut shell that if you come from one category like SLSA to Elsa you must follow the first category maint requirements. Which means you still have to have an RLSM or A&P do the work or you are out of airworthy status. The new rule allowing this maint change was supposed to be out this week, but I haven't seen it so for now your stuck. The 16 hr. class won't apply until the new rule comes out. I have not heard of a DAR inspection being substituted for an annual. Maybe it can, but I have never seen it done. That means that DAR took full responsibility for the Annual, signed the log, did all the inspections that Sky Arrow mandates for an inspection. Did he do compression test, remove the brakes and inspect the bearings, check for all engine and plane SB's, check all wiring, ect, ect. Most DAR's don't do near the quality of inspection required for an annual condition inspection. If he didn't it wasn't really an annual. I pretty sure they need to be put in the book as separate entries. One for the ELSA/DAR side and I'm sure it needs to be a separate entry for the annual. I'm not 100% sure about this next statement and may need a little research, but you may not be able to do anything you want to the plane. There is a few statements in the FAA manuals that might regulate the amount of change. You may be able to do some changes, but Sky Arrow was built to comply with ASTM standards and by doing certain procedures you may take it too far and take it out of compliance even as an ELSA. Insurance typically goes up when you go to ELSA verses SLSA. The reason is that SLSA has to be maintained as factory and worked on by certified mechanics, but and ELSA can have other things done that the factory didn't approve and anyone can work on experimental and the insurance company doesn't like that. When I had Avemco and my insurance was $2K, I ask what would happen if I went to ELSA. Avemco told me that as soon as you put an "E" in front of LSA the premium went to $4400. I hope this helps and gives you some points to research.. Many tires have a red mark or other alignment marks on the sidewall to align the valve stem and many wheels have an alignment marks on them too for balance. Line these all up and you shouldn't have a balance issue. Why does this have to be so (apparently) complicated and subject to interpretation? It does say "E-LSA: Maintenance may be performed by anyone". Are you saying that does not apply to a "downgraded" S-LSA? Not meaning to argue, just trying to understand. That is correct. It does not apply if you went from SLSA to ELSA at this time. Once the new rule goes into affect you'll be ok to do any further work. That said the annual you just did won't be any good if you signed it and the inspection had to fully comply with the one from Sky Arrow even if the DAR was an A&P signing for your annual. Just make sure the DAR inspection and the annual are two separate log entries. If your plane was already an ELSA then you would have been good to go, but you downgraded and that changed everything. I was a little confusing because FAA didn't catch a glitch in the rules they made a few years ago and they have taken until now to fix it. If you have any more questions you can call me. Re: "Downgrade" SLSA to ELSA? Thread moved to Experimenter's Corner.